Are you a game lover or do you love to play free online games ? 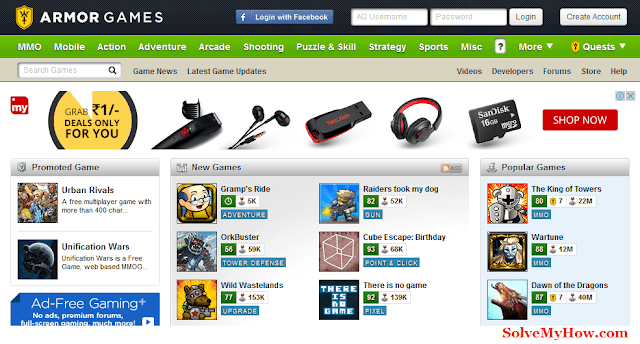 Then this post will help to find top 10 amazing websites to play free online games. We all know online games are really addictive. The online gaming fashion starts after Facebook. People sends requests to their friends or invite their friends to play online games such as candy rush etc. People really get live gaming experience as such they itself are playing those games. One really needs to play games daily to give comfort to his/her mind. According to me games are the best source to give calm to our mind. But you must be thinking its really impossible to store hundreds of games on your computer or mobile phone right. So in this post you will get the top 10 best places to play free online games. As taste differ from person to person. Many people also love to play mind games or puzzle games. 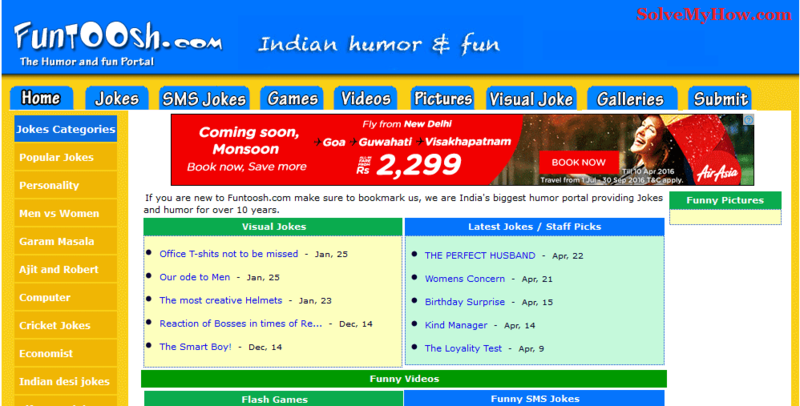 So these websites also have such 2 categories. Kindly stumble upon all 10 websites mentioned below to play free online games. This is unique website and I recommend you to explore it once. You can also search games through search box and you can also invite you Facebook friends to play games online on addicting games. For that you just have to login on addicting games via Facebook. It also has "what's hot" category where you will find most of the hottest games running now. You can also stumble upon "multiplayer" games with your friends. You must check "visual Jokes" specially. Its really an unique category they have. They have created amazing GIF's which will make you LOL. You can explore more games by visiting miniclip. The most amazing thing about mini clip is you can also select your country and play online games with your country people. It also has "top 10 web games" category where you will find top 10 mini clip games. It is a must visit website. Armor game is the most frequently updating game website. It already have 500+ game collection with some unique games. Every week new games are added on armor games to play them online for absolutely free. Koongregate is a nice place to play online games with your friends. By visiting kongregate you can select your game and play it online. It has huge collection of games as other websites. The only thing I don't like about kongregate is their UI (user interface). Its pretty poor and not user friendly. They must need to work on it. FOG is pretty huge online game directory. You can visit and stumble upon some amazing new games and play them online for free. I recommend you to visit this site atleast once. It also has "most played games" category which tells you the games which are mostly played on FOG. You can also explore "top rated games" by FOG users. P.S you can login with Facebook and you can also select you language. Candy stand is great site to play online games for free. You can also win prizes on candy stand just by playing games. It includes categories such as card games, arcade games, etc. Game house is a free online portal to play games for free. You can play as well as download games from game house. It has PC games category as well as online games. You can visit and explore more game house. Android and iPhone users must visit big fish. You can also download games for big fish. You can also submit a game. So these were the top 10 websites to play free online games. I hope you found this tutorial helpful and worth reading. Which website you like the most from the above 10 ? Please do write you review in the comments below. I would love to have your feedback. 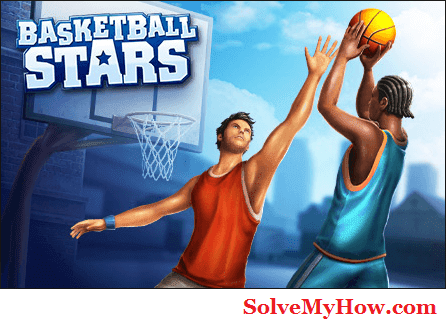 Do you know any other best free online games website to play free online games ? Please comment below. Do shoot social media buttons below to share this post with your social media friends. I will appreciate your help. You can also subscribe for SolveMyHow newsletter to get latest updates about games and hacking tutorials write into your inbox. It's great..! But with my Internet it's hard to play. Also it consume more bandwidth. But it was great...! Thanks for stopping by and commenting. Ofcourse while playing online games you need atleast 512 kbps line. You might can't play it by creating your mobile phone hotspot. Please consider sharing this post with all your social media friends. After all sharing is caring right ! Mini Clip is my favorite, Great to see other online games sites. Thanks for Sharing! Welcome to SolveMyHow. I'm Piyush Golani, a computer science student and a open source technology lover. I started SolveMyHow as a passion in march 2014 and now it's empowering more than 100,000+ monthly readers world wide. Here at SolveMyHow, I write high quality tutorials about Blogging, SEO, Hacking and Make Money Online. Basically SolveMyHow is one spot for finding answer of your any how's. A Piyush Golani Production Solve My How Copyright © 2014-2018. Designed By Blogtipsntricks.